Widespread ringing is requested for the events listed below. The events listed below are examples of those for which the Council has asked ringers to join in widespread coordinated ringing in recent years. Widespread ringing. See: June update of Ringing Remembers. 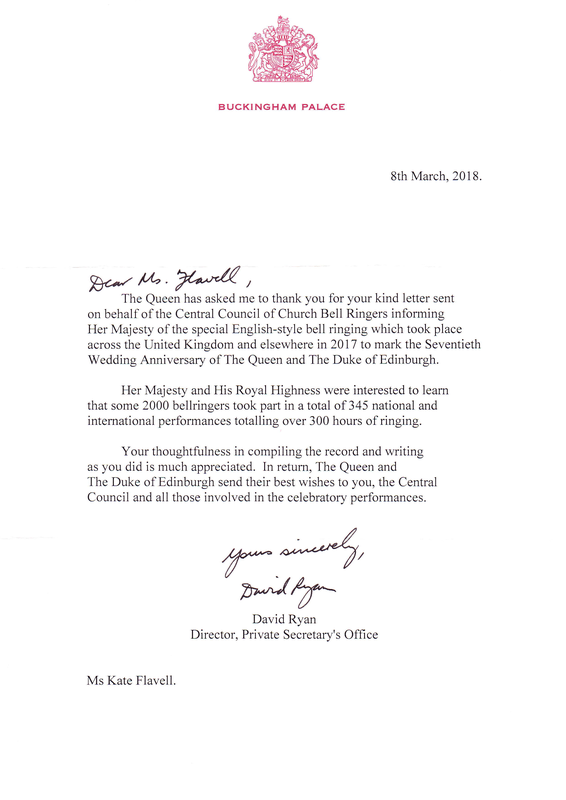 20 Nov 2017 Platinum (70th) wedding anniversary of the Queen & Prince Philip Report of all ringing. 17 Nov 2017 Peal for Pudsey! Sponsored ringing for Children in Need appeal Joint initiative between BBC and Central Council.